A Nova Scotian staple, lobsters are an abundant and DELICIOUS perk of living so close to cold waters. Did you know that there are blue, orange, and even rainbow coloured lobsters? 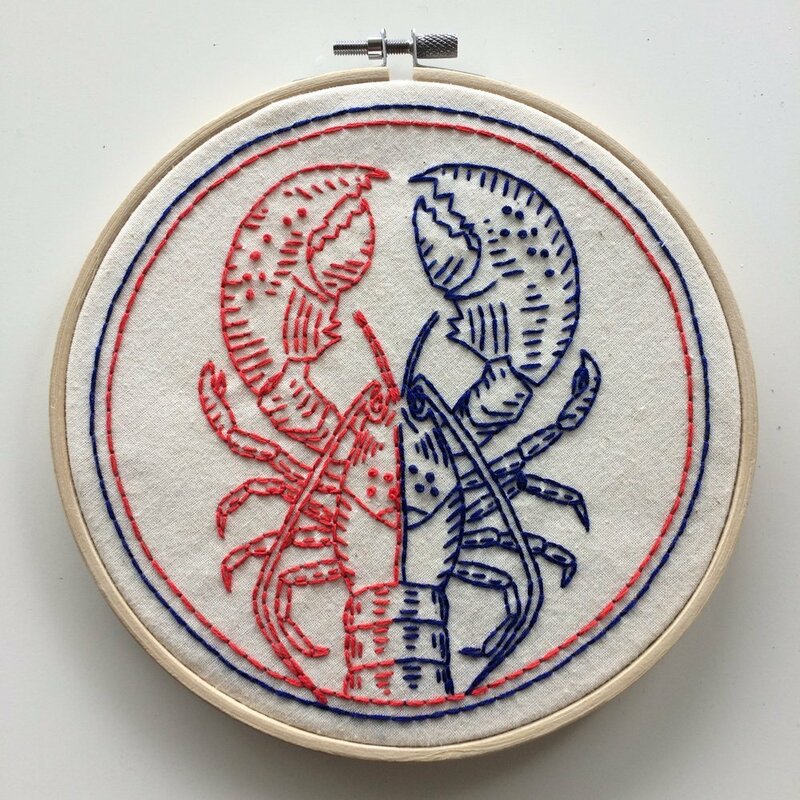 Some mutations lead to bicolour lobsters just like the one in this pattern.